As we get older, it is natural for wrinkles to appear as our skin loses elasticity and thickness. Although, aging is a major cause of the formation of wrinkles, there are other contributors as well. Here are some Do’s and Don’ts that serve as good tips in preventing wrinkles. • Improve your diet. Eating healthier, especially more fruits and vegetables, can improve the overall tone, texture, and clarity of your skin. • Get enough sleep. Lack of sleep can cause your skin to appear dull and lifeless. Try to get between seven and a half to nine hours of sleep each night. • Wear sunscreen. Regularly wearing a SPF of at least 30 that blocks both UVA and UVB rays will significantly help prevent wrinkles. • Use retinols. Retinols stimulate collagen production, which improves the overall look and quality of your skin. • Use a moisturizer. 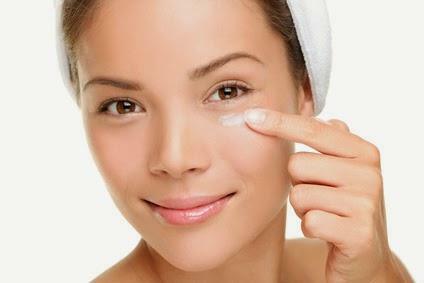 Moisturizers plump up the skin by sealing in moisture giving a wrinkle-free appearance. • Drink lots of water. Your body not only needs moisture on the outside to prevent wrinkles, but on the inside as well. It is recommended to drink 6-8 glasses a day to keep your skin hydrated. • Exercise regularly. Regular exercise can significantly improve the appearance of your skin by providing it with nutrients and oxygen. • Treatments such as micro-needling, microdermabrasion, facial or chemical peel. These treatments not only improve and minimize the appearance of wrinkles, but also fine lines, superficial scarring, and pigmentation as well. • Lay out in the sun. The leading cause of wrinkles, more than heredity, is sun exposure. Also, it can slow down collagen production. • Squint. Squinting can cause wrinkles around your eyes. To avoid squinting on sunny days try wearing sunglasses, this will also protect the thin, sensitive skin around eyes from the sun. • Stress out. Stress can show on your skin, leading to permanent fine lines and wrinkles etched in the face. • Eat too much sugar. Sugar and processed foods can break down collagen, resulting in sagging skin and wrinkles. • Sleep on your side. When you do sleep make sure to sleep on your back to avoid bed lines that can lead to permanent wrinkles. • Smoke. Takes away oxygen and nutrients from the skin. • Drink alcohol. Alcohol removes the skin’s hydration causing wrinkles. • Chew gum. The act of constant chewing can lead to fine lines and wrinkles around the mouth. If you are interested in any of the treatments listed above to reduce wrinkles and rejuvenate your skin contact the Neiman Dermatology Building today at 716-688-0020.